What do you remember from when you were six? We just had an amazing day. 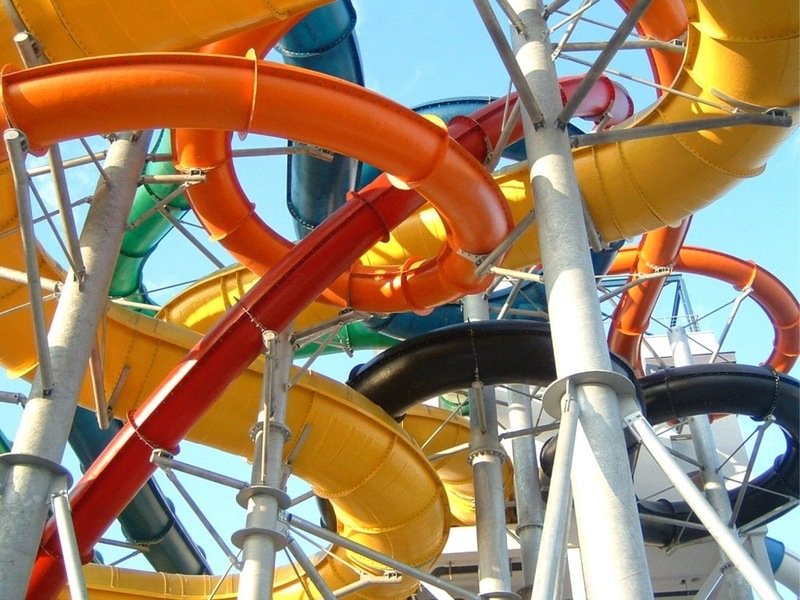 There were roller-coasters, Ferris wheels, water-slides, tubing, and hours in a pool. ET, our six-year old has been going full tilt since 7 AM, and has only stopped to eat. He has also been talking non-stop, giving us a play-by-play of every activity… even though we have been beside him for it all. These are the dog days of summer and a great time to be a kid. The Husband and I have been letting the boys call the shots while on vacation. So far, we’ve been game for pretty much whatever they’ve thrown at us. I remember this. I remember summer days that seemed to last forever. I remember long car rides beside my sister while we shared earphones and sang along to Bonnie Tyler and Chicago. I remember staying up until after dark and roasting marshmallows around a campfire. I remember being young and just having fun. I remember being young… but not being six. Will ET remember today, or will he just remember that he had days like this as a child. As a scientist, I would love to know if today is making a permanent mark on his hippocampus. As a parent, I don’t care… I’m just happy to know that we are giving our kids a great day which, when combined with all of the other great days over the years, will add up to memories of a wonderful childhood. It’s after dinner and The Husband and I are starting to show signs of wear. The boys, however, are still going strong. ET has just run over from the air-hockey table to give me a score update. He is beating his older brother 3-2. I am truly amazed by this and laud his prowess accordingly. What is your earliest memory, and do you think it is a true memory? This entry was posted in Family and tagged cottage, Family, Ferris wheel, Funny, humor, humour, kids, memory, pool, Vacation, water-slides. Bookmark the permalink. It’s funny you mention this as I’ve been wondering if some of what I remember are actual memories or just me thinking I remember something from seeing photos of myself as a kid. I can’t recall which of my memories are earliest, but there are a group of them in the running and they all took place in the summer time. Word! Do people say word anymore?? After thinking about it for a while I’ve decided that my true memories seem to be strongly associated to physical sensations. Like crying for my mom when I was in ski lessons at age 5 because my toes were so frickin cold. So, I guess if I really want the kids to remember something specifically, I’ll need to cause some physical pain or pleasure… pain will probably be easier.